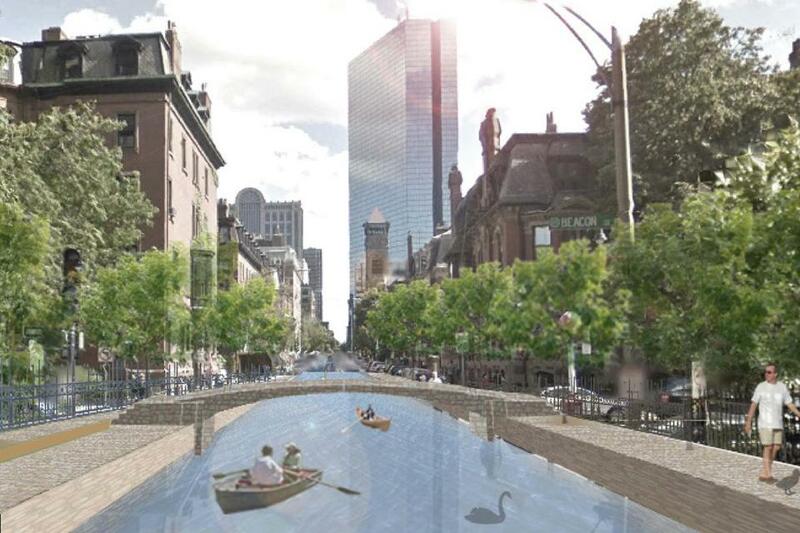 One proposal to combat sea-level rise in Boston, convert Clarendon Street into a canal. Though Boston has historically grown outwards into the ocean, with landfill expanding its boundaries over the decades, the threat of it being submerged back into the Atlantic is very real. Though the Commonwealth of Massachusetts has introduced numerous legislation in an attempt to curtail rising sea levels, as has the City of Boston, there needs to be a shift in thinking from how we can combat the effects of climate change to how we can adapt to them. A new report published by the Urban Land Institute’s Boston/NewEngland branch makes a number of municipal design suggestions and reaffirms on several occasions that the time to act is now. The study, called The Implications of Living With Water, examines four specified areas dangerously at-risk should Mother Nature decide to unleash her wrath in the form of a hurricane not unlike Sandy, which devastated the Eastern seaboard from New York City down to Florida. Tuesday afternoon Governor Deval Patrick announced that previously derailed plans for West Station are back on. When West Station is complete, commuters will be able to make direct trips back and forth between Allston and Back Bay or South Station – without having to suffer the misery of the Green Line. Harvard University will help pay for the new railroad station in Boston’s Allston neighborhood. The MBTA has long range plans to do short run subway-like service on some of it’s commuter rail lines within areas in and close to Boston using smaller DMU trains. If/when the MBTA moves ahead with plans for purchasing DMU’s, Rhode Island should be ready to get on board with them (sorry). DMU’s would be perfect for running higher frequency intra-state service in Rhode Island. 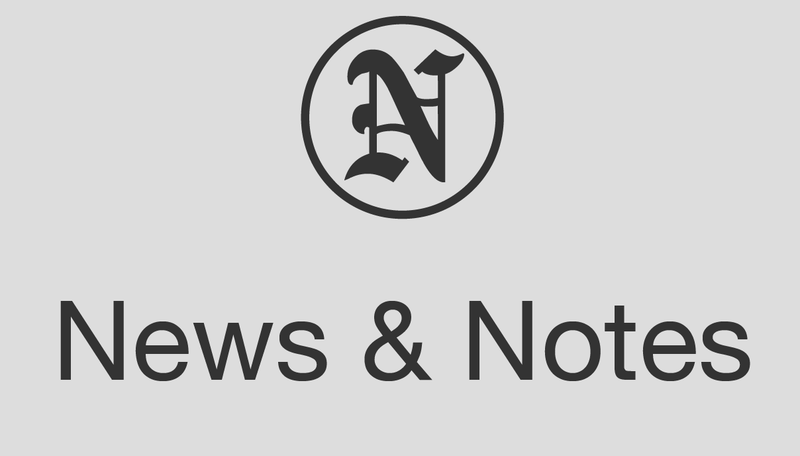 David Dadekian has an idea that he believes would boost Rhode Island’s economy, increase the overall health of the population and reduce the state’s carbon footprint. The founder of Eat Drink RI and the 2014 Rhode Island Foundation Innovation Fellowship recipient wants to create a year-round marketplace in Providence that is equivalent to Pike Place Market in Seattle or Reading Terminal Market in Philadelphia. I’ve long thought the parking lot at Union Station outside RiRa would be a great place for a public market. Another tunnel under Memorial Blvd. could connect it to Waterplace and it would be an attraction to bridge the gap between the mall and Downcity, centrally located to transit as well. I think the canal idea is a great one. The same article proposed augmenting the size of parking garages in order to have extra levels “in case of emergency” though, and I think that that idea is pretty crazy (Man, wouldn’t be ironic if the tour-de-force in climate change preparation was making sure our cars were okay when the apocalypse comes?). I’m really excited about Dave Dedakian’s proposal, and I think your suggestion of Union Station is a great idea for where to place it. 1. Seekonk River water taxi linking Providence to Pawtucket as far north as Division Street. 2. Public/Private Water Shuttle linking upper bay marinas, Johnson & Wales Harborside campus, and other areas of interest like India Point Park. Based on seasonal interest, expand further south to bayside communities. Promoting travel into Providence via the waterways is a no-brainer. This could be completed with something like an iPhone app — to reduce the resources needed in scheduling and operating. 3. Dredge, clean, and remove debris from the Moshasshuck and Woonasquatucket Rivers so that kayaks, small watercraft, and even “narrowboats” could provide transportation and recreation options to near North Main Street and as far west as Olneyville. Ships used to come as far inland as Bowen Street (currently around Roger Williams Park near The Cove) back in the day. 4. Install “micro marinas”; places for citizens to store watercraft safely (for a fee) along the waterways. This will promote outdoor activity and watercraft ownership in the urban center. 5. Install well-lit landings along the river and kiosks with maps showing how easy it is to travel via the waterways between points and landmarks. Grant permits for “bed and breakfast” style narrowboats — like the Samuel Slater on the Blackstone River, in true european style. 6. Create public school courses that teach waterway navigation, sailing, and boating best practices to our students. Rhode Island has a rich marine history and this should be embraced both in subject matter and practical skills. With such a resource, it’s hard to believe we aren’t even scratching the surface with what we can do with it.